Mount Pleasant, South Carolina is a top choice for home buyers looking to move to the Charleston area because it has a great selection of neighborhoods with amenities, the best public schools in Charleston County, and a close proximity to the beaches and downtown Charleston. Home buyers are generally very impressed with the upscale feel of Mount Pleasant as well as the newer, well-manicured look of its shopping centers and neighborhoods. Are you looking for specific features in a Mount Pleasant home? Try out our fully customizable search feature that lets you search for homes that fit your needs perfectly. Search Mount Pleasant real estate listings by property type, home size, number of bedrooms, price range, and many other features. Ranked by Money magazine as 70th in their national "Top 100 Best Cities to Live", Mount Pleasant's vibrant community combines big city excitement with small town charm. Mount Pleasant offers tons of shopping and restaurant options. Towne Centre has the major chain restaurants, a movie theater, and just about any store you'd want, from Barnes and Noble to Banana Republic. Locally owned restaurants and additional shopping centers are scattered throughout the area, so you'll have plenty of entertainment options without having to leave Mount Pleasant. The closest beaches, Isle of Palms and Sullivan's Island, are a quick 10 minute drive. Plus, downtown Charleston is 15-25 minutes away. Mount Pleasant has some of the best public schools in all of Charleston. This factor alone accounts for a steady demand for Mount Pleasant real estate, which makes for good resale value down the road. For more info on public school rankings in Charleston, GreatSchools.com is a good resource. Also, check out the Charleston County School District's website. You'll find 6 public elementary schools in Mount Pleasant: Belle Hall, Charles Pinckney, Jennie Moore, James Edwards, Mamie Whitesides, and Mount Pleasant Academy. Mount Pleasant has 3 middle schools: Thomas Cario, Laing, and Moultrie. 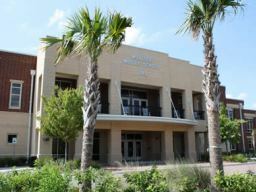 The new Wando High School serves all Mount Pleasant residents. 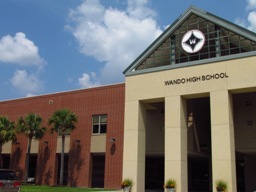 With more than 3,000 students, Wando is the largest high school in Charleston. It has a fantastic reputation for its academics, after school activities, and athletic program. In fact, the South Carolina Annual School Report Card (which rates the state's public schools) has given Wando High the highest rating possible for five years in a row. Home buyers tend to choose Mount Pleasant because it has a great selection of homes for sale - especially newer homes. And most of the Mount Pleasant neighborhoods have full amenities like swimming pools and tennis courts. We've included below the 6 best communities in Mount Pleasant. We've based this list off many years' worth of feedback from buyers - so these tend to be the consistent favorites. 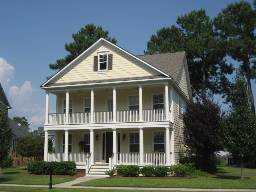 Hamlin Plantation has newer homes with lots of square footage and classic Low Country style. Practically the entire neighborhood was built by John Wieland, which is one of the best large scale residential builders in Charleston. You'll find little parks designated in the subsections, giving each section its own designated green space. The Sound is the only marshfront subsection in Hamlin Plantation at this point. You'll find some marshfront lots for sale in Waverly where homes will be built in the future, though. Many of the homes in Hamlin Plantation have expansive marsh views but not good water access. Hamlin is ideal for home buyers in the $400-700K price range. Whether you're looking for an existing (pre-owned) home that is move-in ready or a new construction home that allows you to choose finishes and upgrades, Hamlin Plantation is a top pick among buyers. Park West is by far the largest neighborhood in Mount Pleasant. Because of the sheer number of homes in Park West, you'll find houses, townhouses, and condos for sale in a very wide price range - from the low $100s to $1 million plus. It's overall one of the most affordable communities in Mount Pleasant, and you can get a lot of home for the money compared to other subdivisions. The amenities are not as nice as the others we've included in this top 6 list, but HOA costs are also the most affordable. Park West is like a small town unto itself because you can meet most needs without having to leave the neighborhood. Within its entrance, you'll find a Publix grocery store, car wash, veterinary clinic, dry cleaners, and 3 public schools serving kids from kindergarten to 8th grade (Laurel Hill Primary, Charles Pinckney Elementary, and Cario Middle School). Wando High School is within biking distance to many of the homes in Park West since there is a street that cuts through to the back of the school grounds. Rivertowne is divided into 2 main sections - Rivertowne on the Wando and Rivertowne Country Club. The first is a waterfront community overlooking the Wando River. It has a mix of high-end deep water homes with private docks as well as more affordable traditional homes on interior lots. These less expensive homes are ideal for buyers wanting a newer home with Low Country style and smaller yards to maintain. All residents in this section have access to the neighborhood's dock (it's one of the largest community docks in Mt. Pleasant). You'll find some marshfront homes in the Country Club section, but the primary focus here is the golf course. It was designed by Arnold Palmer and recently hosted the LPGA Tour. The semi-private golf club offers memberships, but walk-ons are also welcome. 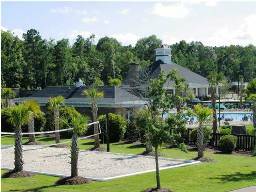 Dunes West is the main gated community in Mount Pleasant. Overall, it's one of the nicest neighborhoods you'll find in Charleston, and it has some of the best amenities. 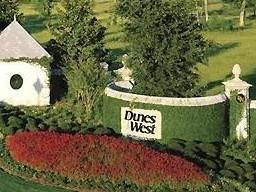 Dunes West is ideal for buyers in the $500K plus price range as well as buyers wanting large, estate-sized lots. The Arthur Hills designed golf course has a Low Country feel and is considered one of the main golf courses in Charleston. 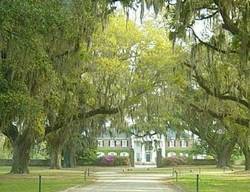 You'll get a feel for its Southern charm as you drive under hundred year old live oaks leading up to the golf club house, which was built where the antebellum Lexington Plantation once stood. Right now, some of the most popular homes for sale in Dunes West tend to be the new construction by John Wieland. Buyers have a large selection of floor plans to choose from, and the best sellers tend to be the Low Country designs. When you drive through I'On, you'll feel like you're on the streets of historic downtown Charleston. In a neighborhood where the average home price runs just over $1 million, no expense is spared in recreating the classic details that make Charleston style homes so unique. So, if you want the look of Old World Charleston but not the upkeep of a two hundred year old house (or the traffic of downtown Charleston), I'On should be at the top of your list for neighborhoods to see in Mt. Pleasant. I'On is also conveniently located South of Hwy 41, so it's one of the closest Mt. Pleasant neighborhoods to the peninsula that you'll find. I'On has its own commercial section, so residents can walk or ride their bikes to shopping and restaurants without having to leave the neighborhood. I'On was designed as a highly walkable neighborhood with a focus on community green spaces - all with an unbeatable location. Old Village is one of the only neighborhoods in Mt. Pleasant with historic homes dating back to the early 1800s. In a suburb that's known for its new construction homes and large scale commercial shopping centers, Old Village has preserved its heritage well since its founding in 1680. You can explore the old Pitt Street commercial district, where you can shop its boutique stores, snack at its Village Bakery, enjoy the soda fountain at Pitt Street Pharmacy, or dine at Old Village Post House. 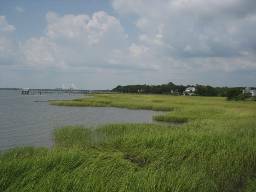 You can also walk the Pitt Street Bridge which connected Mt. Pleasant to Sullivan's Island by trolley from 1898 to 1927. Old Village is located just over the Ravenel Bridge in Old Mt. Pleasant, so this neighborhood is about the closest that you can live to peninsular Charleston. In fact, many of these homes overlook the Charleston Harbor. Whether you're wanting a day of shopping, golfing, boating, or sight seeing, Mt. Pleasant has just about everything you could possibly want. You can catch a movie at Towne Centre, walk or bike the trails at the County Park, visit a plantation, or take your pick at one of the many restaurants. 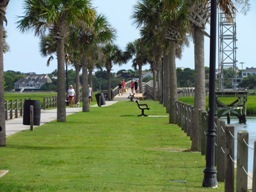 The closest beaches are Isle of Palms (pictured) and Sullivan's Island. Both have public beach accesses scattered throughout and are only about a 10 minute drive from Mt. Pleasant. Downtown Charleston is about 20 minutes south of Mount Pleasant. Boone Hall is one of the oldest working plantations in the country. In fact, the plantation has designated U-Pick sections where visitors can select their veggies from fields that have been growing crops for more than 320 years. This is a great way (for kids especially) to experience farming firsthand. Around Halloween each year, Boone Hall hosts Fright Nights, which is the largest haunted house event in the state. (For a less scary Halloween experience, check out the corn maze which is also held annually!) The plantation also has your traditional house tour as well as beautiful gardens to explore throughout the year. 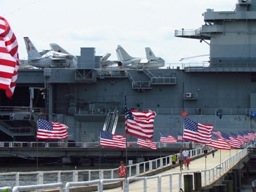 At the Patriot's Point Naval and Maritime Museum, you can tour the aircraft carrier Yorktown (the Fighting Lady from World War II). Since this is located on the Mt. Pleasant side of the Charleston Harbor, it has incredible views of the harbor, the Ravenel Bridge, and downtown from the main deck. You'll see a great collection of war planes in the hangar bay and the flight deck of Yorktown. With admission you can also tour the submarine Clamagore (which served during the Cold War) and see the Medal of Honor Museum. Mt. Pleasant has fantastic parks to choose from. Patriots Point hosts kids' recreational leagues as well as some of the College of Charleston sports teams such as baseball and tennis. Palmetto Islands County Park is also popular and features more than 900 acres of nature trails, open fields, picnic sites, playgrounds (including a water park), a dog park, and a dock for fishing or relaxing. The Pitt Street Park (pictured) in Old Mt. Pleasant is a favorite among locals. Prior to the Revolutionary War, a plank bridge made from barrels spanned across the inlet separating Mt. Pleasant from Sullivan's Island. Later in 1864, the crew of the Hunley used the bridge to test dive the submarine in Breach Inlet. In 1898, the bridge was rebuilt so that a trolley could be used to carry passengers across the inlet and has since been converted into a park. With the great water access you'll find in Mt. Pleasant, boating is a popular pastime. And you don't have to have a private dock at your house in order to enjoy the water. Several Mount Pleasant neighborhoods have community docks and boat ramps reserved for residents only. And you'll find more public boat ramps scattered throughout Mt. Pleasant as well. Another good option is the Charleston Harbor Resort and Marina which offers memberships and has an unbeatable location on the harbor. If you enjoy playing golf, Mt. Pleasant is one of the best areas of Charleston to live because it has the most choices. 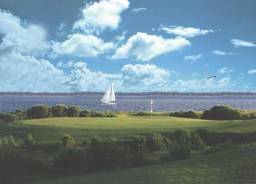 The Patriots Point Links golf course overlooks the harbor. More options in Mt. 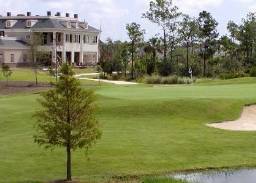 Pleasant include the courses at Dunes West, Rivertowne Country Club, Charleston National, and Snee Farm. Plus you'll find 17 additional golf courses scattered throughout Charleston. Towne Centre is the main outdoor shopping mall in Mt. Pleasant. It has over 65 shops, including Old Navy, Belk, Ann Taylor Loft, Coldwater Creek, Gap, and Barnes and Noble. Its Regal Cinema has 16 individual theaters with stadium seating and plays all of the big blockbusters. Towne Centre also has some of the big chain restaurants in Mt. Pleasant like Longhorn Steakhouse and Qdoba. Mt. Pleasant is second only to downtown Charleston when it comes to shopping and restaurants. You'll find just about everything you need without ever having to leave Mt. Pleasant. The Belle Hall Shopping Center is located off Long Point Road and has Moe's Southwest Grill, Starbucks, Ross, and Petsmart, just to name a few. 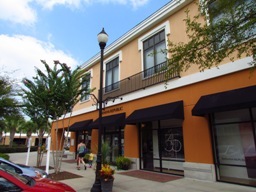 The Shoppes at Seaside Farms is just off the Isle of Palms Connector and has a Target as well as locally owned shops and business offices. The Market at Oakland (off Hwy 17) is one of the newest shopping centers and offers a Walmart and a Kohl's. After a day of boating, dock at Shem Creek and eat locally caught seafood at one of the restaurants located directly on the water. (There's also quite a bit of parking space if you'd prefer coming by land.) On this side of Charleston, you'll find several restaurants where you can pull your boat up to the restaurant to dock while you eat. In addition to Shem Creek in Mt. 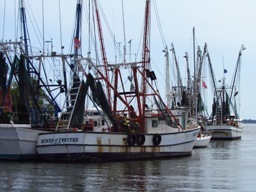 Pleasant, you can also go to the Boathouse at Isle of Palms or the Wild Dunes Yacht Harbor. 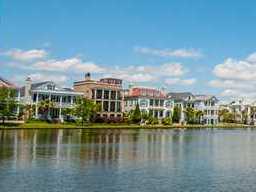 Mount Pleasant, SC is one of the more upscale suburbs of Charleston. Buyers looking to relocate to Charleston are typically very impressed with how nice the area is. The neighborhoods and commercial sections are newer and are well maintained. And the City of Mt. Pleasant has enforced strict zoning laws to ensure that future development is well planned for. With the steady demand for real estate in Mt. Pleasant, the city prepares for more growth and homeowners expect real estate to hold its value in coming years. In the current real estate market, there are many homes for sale in Mount Pleasant, so prices are better than they have been in the last four years. This large number of homes for sale in Mount Pleasant make it a great opportunity for buyers to get more home for the money and have tons of options to choose from.